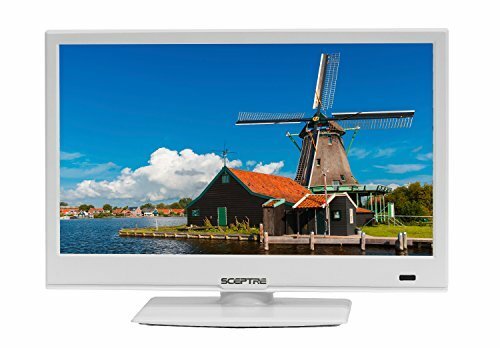 Discover superior color and clarity in the design and every pixel of the Sceptre White E165WV-SS 720P LED HDTV. HDMI transports the highest quality of high-definition video and audio all on one, durable cable. MHL (shared with the HDMI port) opens the door to another option for streaming by connecting the display to a smartphone or tablet. A USB port comes in handy when you want to flip through all of your stored pictures and tune into your stored music. More Inputs, More Possibilities: With HDMI, VGA, Component, and Composite inputs, we offer a convenient balance between the old and new to suit your diverse preferences.